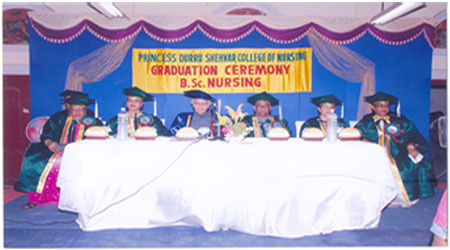 The Princess Durru Shehvar College of Nursing (PDSCON) has an experienced and qualified faculty as per the norms of the Indian Nursing Council, New Delhi and the Dr.NTR & Kaloji Narayana Rao University of Health Sciences, A.P. 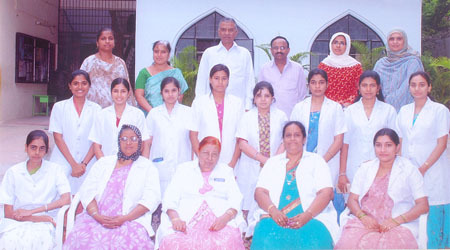 Princess Durru Shehvar College of Nursing is housed in an exclusive four storied building with a built up area of 20,000 sq. 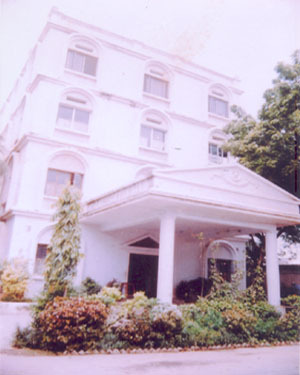 ft. situated in the campus of Princess Durru Shehvar Children's & General Hospital, Purani Haveli, Hyderabad. 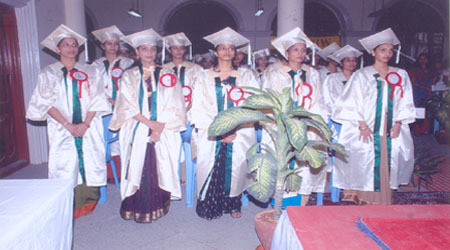 DURATION OF THE COURSE : 4 calendar years commencing from 20thNovember of the academic year consisting of not less than 240 working days per year, including the university examinations.